A stunning collection of nature-inspired prints! Handcrafted in the eighteenth and nineteenth centuries by scientists, botanical and scientific prints captured the intricate details and vibrant colors of the world's most fascinating plants and creatures. Now, the vintage illustrations can be found adorning the walls of homes featured in popular interior design magazines--but you don't have spend a fortune to re-create these beautiful floral and wildlife prints. 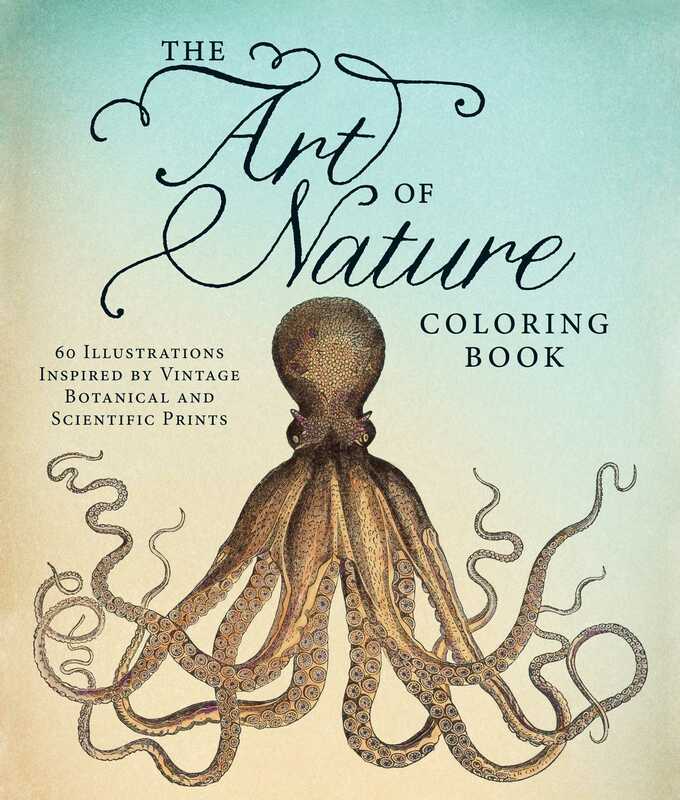 Filled with 60 stunning illustrations, The Art of Nature Coloring Book will guide you as you use colored pencils to personalize your art and bring each plant or animal to life. These ornate prints will not only provide you with hours of entertainment, but will also serve as one-of-a-kind decorations that will liven up any wall or workspace. From the elegant peony to the lively mourning dove, The Art of Nature Coloring Book's flora- and fauna-inspired prints will fill your life with the beauty of the outdoors. Prefer a more vintage aesthetic? Try this beautiful book.